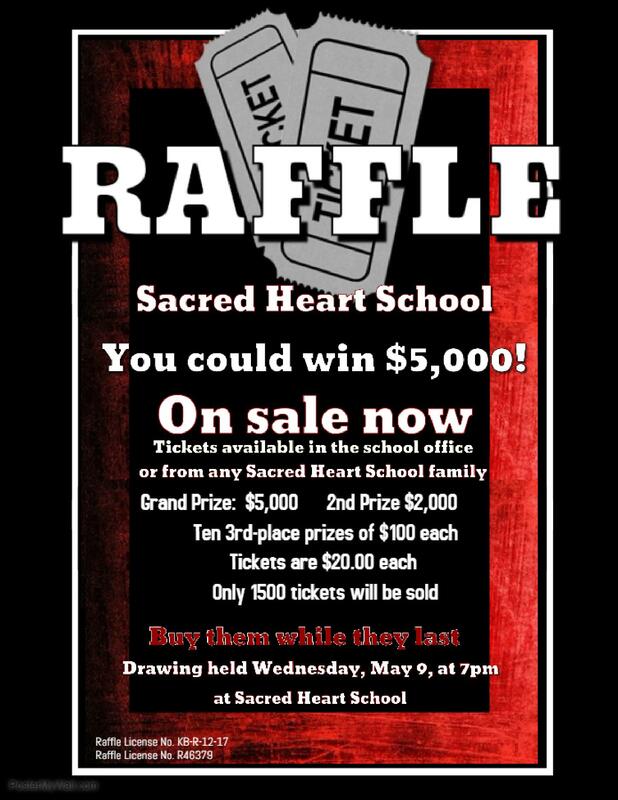 Sacred Heart School is selling raffle tickets in place of their annual chocolate bar sale this year. First prize is $5000, Second is $2000, and there are ten- third prizes of $100 each. They are $20 each and may be purchased at the L'Anse Sacred Heart School office or any SHS family. The drawing will be held on Wednesday, May 9th at 7pm. Get your tickets while they last, only 1500 will be sold!! !